My inbox is packed full of emails from many of you. Unfortunately, many are left unanswered by me because I am unable to spend the amount of time answering them and honestly, most require way more than a one paragraph response from me. I try and address some of your questions either via blog posts or a Facebook status but there’s no question that I leave many unanswered. These samplings are just the TIP of the iceberg! I have a folder of emails upon emails that I save in hopes to answer them, but the truth is, it’s not as simple for me to do so. Enter coaching calls. I’ve mentioned before that my real-life interactions with people are what truly fuel me online. I have many friends and students who ask me the same questions you do. I am able to quickly ask some questions, get some feedback the next time I see them, and maybe text them once or twice during the time they are trying out new things. I can’t do that with you. People often tell me that they feel so much better after talking with me. Why? Not because I gave them any sort of plan or fixed their life, but because I was a sounding board. I was able to take those gray areas and add some clarity. I don’t say this to toot my horn, but it’s what God does when he mixes a passion for people, fitness, and learning, together! I love being able to do this for folks! 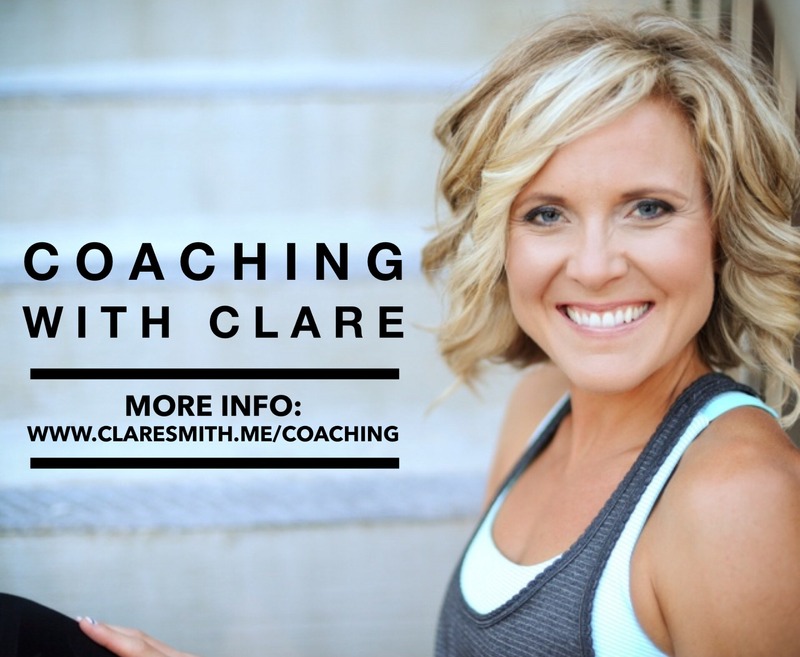 Coaching calls are the best way I can extend this to you! I do not believe in “one-size fits all” approaches to health. I do not like prescribing specific caloric, exercise, or wellness plans without first talking to someone. Why? Because we each are SO DIFFERENT! There are basic guidelines and tips that I can offer everyone that would benefit them at a foundational level, but truly, to have a sustained healthy lifestyle, it requires more than that. My approach will always consider your spiritual wellness, your marriage, your family, your finances, & your friendships. I believe true health is when those areas are all balanced, so you can expect questions about those areas. I am in it for your long-term success. I want YOU to become the detective to your health. and I want to help you through that. No spoon-feeding here! Send me an email: clare@claresmith.me and I’ll take a look at my calendar and we will book a date together! I’ll send you a short questionairre so I can get a feel for what you want to talk about and well go from there!